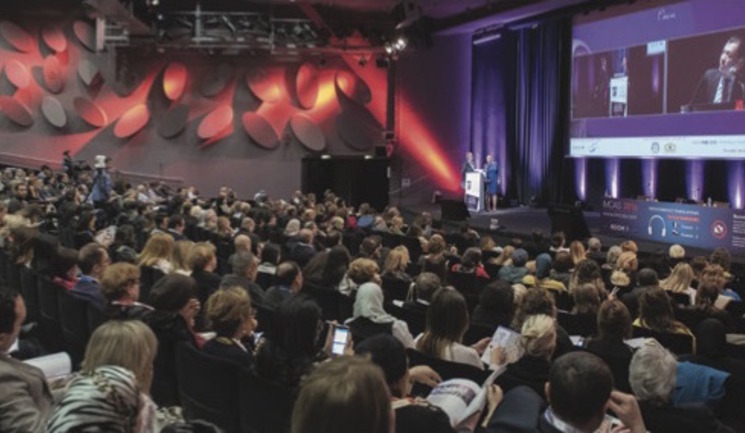 More than 6,500 doctors, nurses, surgeons, manufacturers and aesthetic professionals attended the 18th International Master Course on Aging Science (IMCAS) in Paris between January 28 and 31. Professionals from 85 countries around the world gathered at the Palais Des Congrès in Paris for four days of learning, educating and networking. The diverse agenda comprised 127 scientific sessions, 1,050 lectures, 520 expert speakers and 180 exhibitors. Many delegates noticed the increase in attendees at this year’s congress, as well as an upsurge in the amount of international sessions. “The conference was busy on all four days,” said consultant plastic surgeon Mr Dalvi Humzah. “IMCAS has grown considerably and you need to plan before you go to ensure you don’t miss anything.” On the first day of the conference, the ‘Minimally Invasive Cadaver Workshop’ proved to be popular with a packed-out audience. The full-day workshop looked at facial anatomy and how to avoid vascular complications, with live links streamed from Tokyo and Taipei. On the same day, a new agenda, ‘Middle Eastern Masterclass’, organised in part by dermatologist Dr Sahar Douad Ghannam, took place. The panel explored the patient-doctor communication in consultation with Middle Eastern patients and how to properly handle the cultural values of the region when dealing with patients. 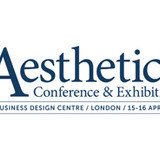 Aesthetic business consultant Wendy Lewis, who was part of the ‘Middle Eastern Masterclass’ and ‘Tips to Avoid Psychological Pitfalls in Aesthetic Procedures’ panels, was impressed by the versatility of this year’s congress, “As a veteran of IMCAS, having been going for 15 out of 18 years in Paris, and one of the first Americans to embrace the importance of this global congress, 2016 did not disappoint! I participated in two important panels that generated a lot of interest.” The ‘Tips to Avoid Psychological Pitfalls in Aesthetic Procedures’ panel discussion, led by Dallas plastic surgeon Dr Rod Rohrich and Mayo Clinic facial plastic surgeon Dr Eugene Kern, highlighted important signs for practitioners to look out for when treating patients. The international panel, including Dr Jonathan Sykes, Dr Richard Abs and Dr Milos Kovacevic, explored how to properly screen aesthetic patients, the red flags to look out for and signs of body dysmorphia. Cosmeceuticals took centre stage on Friday with a full-day programme covering important topics for attendees, including the consumer interest in natural products, probiotics, prebiotics, and nutraceuticals, as well as innovative delivery systems for active ingredients. US dermatologist Dr Hema Sundaram delivered a particularly helpful talk, ‘What’s New Concerning Cosmeceuticals Combined with Procedures: A Literature Review of Recent Updates’, in which she talked about combing topical products with procedures. Dr Sundaram argued that doing so can address signs of ageing that singular procedures cannot easily treat, and advised delegates on how to achieve improved post-procedure recovery time with reduced side effects. Arguing that dysfunction of the skin barrier is the ‘cardinal sin of the ageing process’, she explained how it is essential to use ingredients that improve transepidermal water loss (TEWL), and increase the H2O content of the skin. Friday also saw Dr Arthur Swift present a 3D experience on facial restoring and enhancement, drawing special attention to facial anatomy, product placement and depth considerations. Mr Humzah said the ‘audience reacted well to the novel experience’ and it was a ‘very engaging session’. To complete the symposium, Dr Kuldeep Minocha looked at a ‘fresh approach to skin rejuvenation’ using new techniques and skin boosters. Dr Swift also presented on ‘Combined Treatments with Filler and Toxin for the Upper Face’ on Saturday. Dr Tapan Patel followed Dr Swift on the agenda, speaking on combination treatment for full-face rejuvenation; combination treatment was a popular theme throughout the whole weekend, particularly non-surgical and minimally invasive options, and novel drug delivery systems. The IMCAS Industry Tribune highlighted some interesting trends, including a desire for ‘instant beauty’. 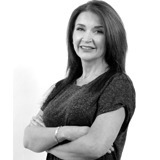 A fairly new advancement also made its way onto the agenda at IMCAS in the form of topical botulinum toxin. A talk comparing two types of topical toxins influenced an intriguing discussion led by plastic surgeon, Dr Michael Kane. Feedback from the weekend was particularly positive. US dermatologist Dr Gary Monheit said, “This was the most outstanding IMCAS, as well as multi-speciality cosmetic meeting I have ever attended. The panels were successful and all the talks I was involved with were objective, relevant and unbiased."